Lee Gabel has read 6 of 14 books. Lee Gabel read 14 books of their goal of 13! Lee Gabel read 12 books of their goal of 12! Lee Gabel read 12 books of their goal of 8! 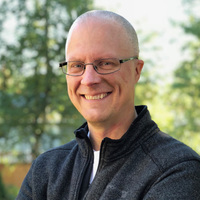 Lee Gabel is the author of five novels: Tied: A Street Gang Novel, David's Summer, Snipped: A Cutting Comedy, Vermin 2.0, and Arachnid 2.0 (Fall 2018). Follow Lee on BookBub and on Amazon to receive notices about his new releases and deals, or join Lee's reader group at LeeGabel.com/signup for even more important information. Lee is an indie author and self-publishes all his novels. He appreciates all his readers and loves to hear from them. Drop him a line or join his reader group. 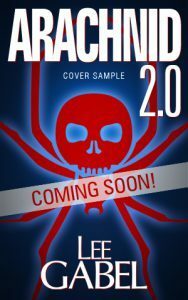 A great way to help Lee out is to read and review his stories, both here on Goodreads, and especially on Amazon. A few short sentences can make a huge impact. Since 1992, Lee has worked within the visual and dramatic arts landscape as a graphic designer, Lee Gabel is the author of five novels: Tied: A Street Gang Novel, David's Summer, Snipped: A Cutting Comedy, Vermin 2.0, and Arachnid 2.0 (Fall 2018). Follow Lee on BookBub and on Amazon to receive notices about his new releases and deals, or join Lee's reader group at LeeGabel.com/signup for even more important information. Since 1992, Lee has worked within the visual and dramatic arts landscape as a graphic designer, illustrator, visual effects artist, animator, screenwriter and author. He's contributed to an Emmy award (LOST; "Pilot; Part 1 and Part 2") and once walked 63.5 kilometers in 13 hours. Traditionally trained as a screenwriter, Lee has moved to writing books in order to share his stories. To ask Lee Gabel questions, please sign up. We’d love your help. Let us know what’s wrong with this preview of The Gorge by Scott Nicholson.